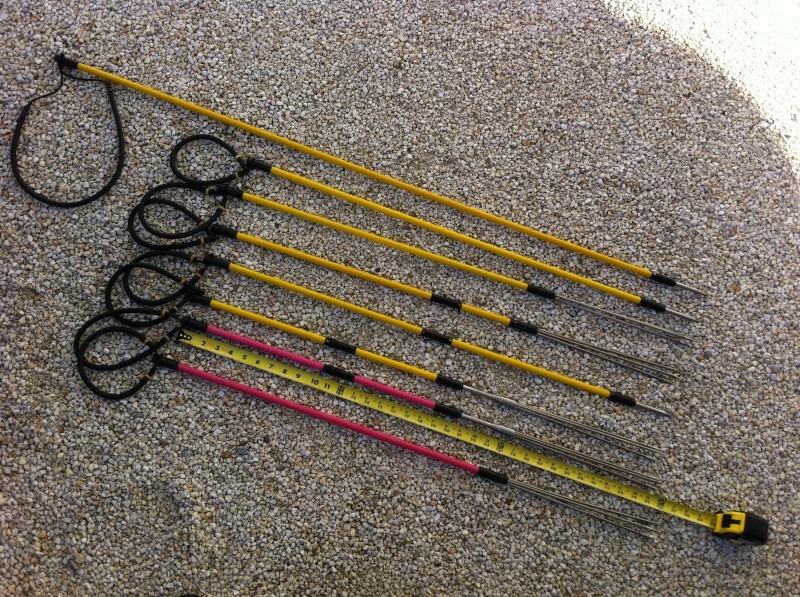 Wide variety of Bandito Lionfish polespears to suit your spearfishing needs. One of our newest products is the Lionfish Polespear, you guessed it, they are for shooting Lionfish, the invasive species on the East Coast of the USA. The short length of the Lionfish polespears make them perfect for keeping handy on your boat, making them easy to store and easy to deploy. We even make a model that you can keep in your buoyancy control vest at all times. And if you want a challenge while shooting Hogfish, use one of these short polespears. It will help hone your hunting skills for sure! The Lionfish polespears are constructed of stainless steel, aluminum, fiberglass, and rubber. Replacement polespear power bands and slings are available. We have break down models, fixed paralyzer tip models, standard 6mm threaded tip models, pink and yellow models, and various length models. They can also be customized to your specifications.